Winter is well underway, which means less favourable weather conditions are now a reality for most parts of the country. Team this with the shorter days, and conditions become even more difficult to handle for the average person. With the dark nights and poor weather, now couldn’t be a better time for vehicle owners to think about their visibility, with your car’s lighting and wiping systems vital parts of the equation. 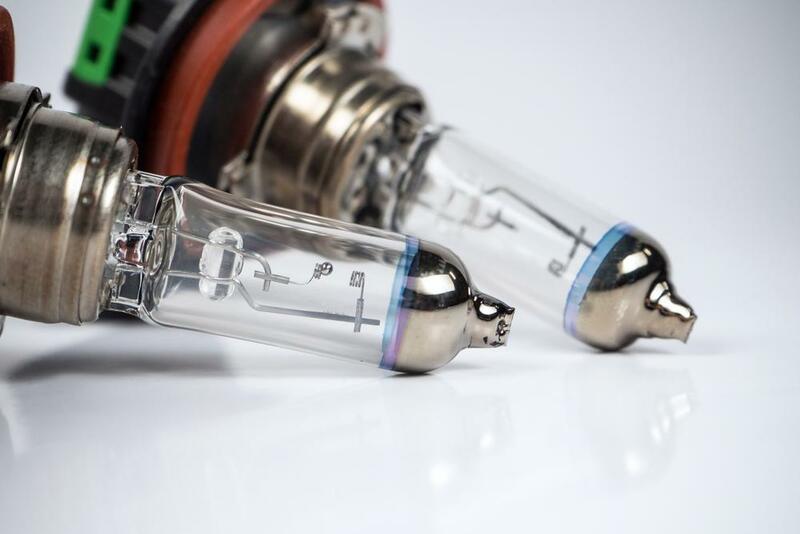 Whilst vehicle lighting concerns more than just your headlamps, making sure you’re lighting the way with some high quality, fully working car lightbulbs is crucial. Cue our guide to changing a car lightbulb easily! Read on to discover the essential steps you should take to see and be seen on the roads this winter. Why is good car lighting important? Just how well your vehicle’s headlights light up the road in front of you isn’t just a matter of aiding your visibility and alerting your fellow drivers and pedestrians of your presence. Great visibility courtesy of well-maintained headlights, significantly cuts the risk of being involved in a road traffic accident. According to RoSPA, 40% of road traffic accidents happen at night when vision is reduced and hazards are more difficult to spot. Good vehicle lighting ensures you gain a clearer view of the road, whether you’re driving at night or during the day in poor winter weather conditions like rain, fog or snow. How often do bulbs need changing? Just as your car will age, so too will the bulbs in your headlamps. Lighting technology has progressed significantly in recent years, with the ultra-bright LEDs featured on the latest makes and models of vehicle providing optimum performance and visibility whatever the weather. With development, car lightbulbs are now lasting much longer but they’ll still need replacing. The average tungsten-halogen car headlight lasts between 500 and 1,000 hours. Xenon headlights last ten times longer, averaging around 10,000 hours. LED headlights provide the best performance with an average lifespan of 30,000 hours. The service life of your car’s lightbulbs however can be influenced by a number of factors. The most obvious sign that replacement is required is of course a failed bulb. You should however keep an eye out for bad or failing headlight bulbs to ensure you don’t get caught out when you need great lighting the most. It is also an offence to drive without a fully functioning set of headlights. Offending drivers will be pulled over by the police, handed a vehicle defect rectification notice and given up to 14 days to sort the problem. After repair, proof in the form of a repaired vehicle or a receipt for the work must be presented to the police. Replacing bulbs that are on their way out is recommended. If your headlight bulbs are dim or flickering bulb replacement could be imminent. Can I change my car lightbulbs myself? Before you begin make sure your vehicle’s engine is switched off. Open your car bonnet to locate the back of the headlight housing. Remove the cover of the headlight housing to gain access to the blown bulb. You may need to twist the connector or release a lever to remove the cover. Remove the blown bulb by hand before replacing it with the new bulb. When doing so, make sure any oily residue from the old bulb doesn’t come into contact with your skin and/or transfer onto the glass of the new bulb. Once lit, any oil will heat up and damage the glass of the new bulb. Check that the new bulb is installed securely before applying the cover of the headlight housing and checking that the bulb works correctly. Make sure you select the right replacement bulb. Most vehicle handbooks offer details on the type of replacement car lightbulb you require.